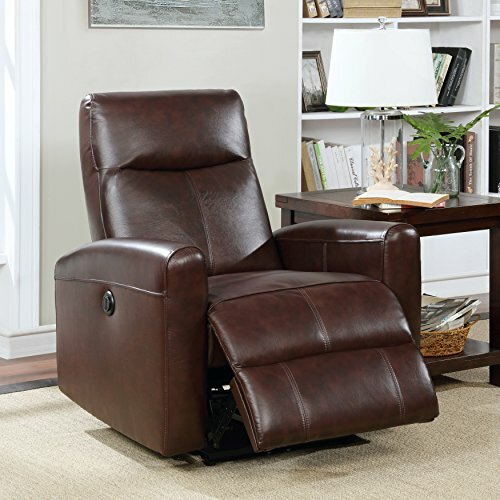 Luxury and comfort don't have to look boring when it comes to the contemporary Eli leather electric power reading recliner. Our perfect sized leather reclining chair comes equipped with an easy to use a push button for added convenience and customizable reclining positions. No matter if you're checking your feeds, watching tv or just hanging out with friends or family, this recliner chair is a right choice. Sit back, put your feet up and recline in luxurious comfort.